I’ve been on a bit of a blender bender lately. After getting a gorgeous, shiny, powerful new workhorse of a blender, can you blame me? I am a regular troll on blender recipe sites and found one that sang out, “MAKE ME!” on the recipe portion of the Blendtec website. Fudgesicle Frosty? Sign me up. Side note: Try saying blender bender ten times fast after eating a Fudgesicle Frosty. I dare you. A little tinkering later (because I can) and I poured -scooped, really, because it was so good and thick- two jars full of the smooth, chocolatey, creamy, icy cold mixture, deposited a spoon in each one and sashayed into the living room. I’m not much given to sashaying. I’m more of a saunterer or, when tired, lumberer. Sashaying means I’m up to something. And I was. Mm hm. And that’s when he was fully onto me. “What is in this thing? It’s good, but the way you’re looking at me I KNOW something’s up.” quoth he. He looked from his jar to me and back again. He hesitantly took another bite, worked it around a little and looked at me appreciatively. I don’t mean to imply that my husband doesn’t like healthy food, it’s just that he has this notion in his head that healthy food has to taste like sacrifice. No bread, no fat, no sweets, no nuttin. I take giddy delight in disproving that notion. I promise giddy delight in your home, too, if you make these. I modified the Blendtec recipe to increase the number of dates and omit the agave nectar. If you’d prefer it a bit sweeter, you can add the agave nectar back into the mix, but we liked it sweetened with dates only. Even after The Evil Genius and I both had double servings, we still had some left, and so I did what any self-respecting tightwad would do. I froze it. I didn’t freeze it in one giant chunk, however, I froze it in popsicle moulds. The resulting fudgesicles were outstanding. Shortly thereafter, I made a batch of Fudgesicle Frosties and poured them into half pint jars, leaving about three quarters of an inch of headspace in each jar. I lidded and froze those, then packed them as the “ice packs” in a picnic basket to take on a field trip. By the time lunch rolled around, they were thawed enough to be spooned from the jars and the rest of our lunch was nice and cold. We have already repeated that twice and we are full of plans to repeat it repeatedly and repetitively until the warm weather runs out on us. This is my final piece of braggardly behaviour today. You know those kids of mine who won’t touch vegetables with a ten-foot pole? They love these. Can’t get enough of ’em. And if you guessed that I haven’t told them what’s in them, you’re absolutely right. They’re still over the moon that mummy let them have fudgesicles for breakfast. Let’s just keep this between you and me and the fencepost, alright? Fudgesicle Frosties were tested in a Blendtec blender which is probably most most used kitchen appliance through the summer months. That thing could blend a whole chicken if I took a mind to try it… which I won’t. The point is that if you are in the market for a blender, this is the one I’d recommend every single time, price notwithstanding. Yep. It costs more, but it is totally worth saving up for! If you make this in a less robust blender, make sure the motor isn’t struggling. You could also try making it in a food processor if your blender protests. This is a good place to use a slightly less than perfect avocado if you have one (and who DOESN’T from time to time other than my friend, Lisette, who is the avocado whisperer?). I don’t mean you can use one that is black and mushy, but you can definitely toss an avocado in here that wouldn’t pass the delightfully pleasing to the eyes test. A few folks have mentioned the calorie count in the recipe. Guys. It’s a dessert. And honestly, the calories are all good-for-you ones from nutritious sources. They’re not empty calories at all. I will never, ever believe that something is bad for you by virtue of calories. If you’re restricting calories, have a smaller quantity. Fudgesicle Frosties are so worth the indulgence! Add the coconut milk, dates, avocado and cocoa powder to the carafe of a powerful blender. Fix the lid in place and blend on high until smooth. You may need to use a tamper to move the ingredients around to get them fully blitzed and smooth. (If your blender does not have a tamper, stop the motor, remove the lid and use a spoon to move it around a bit. When the mixture is smooth, taste it. If you find it is not sweet enough, add the agave nectar or mild honey to taste and blend again until combined. Add the ice cubes and blend, moving the ingredients around if necessary, until smooth and very thick. Divide into glasses and serve with spoons. Spoon or scrape the mixture into popsicle moulds or small, disposable paper cups. Add the popsicle handles or sticks and freeze for 6 hours, or until frozen solid. Pour the blended mixture into half-pint jars, leaving 1/2-inch of headspace in each jar to allow for expansion when it freezes. 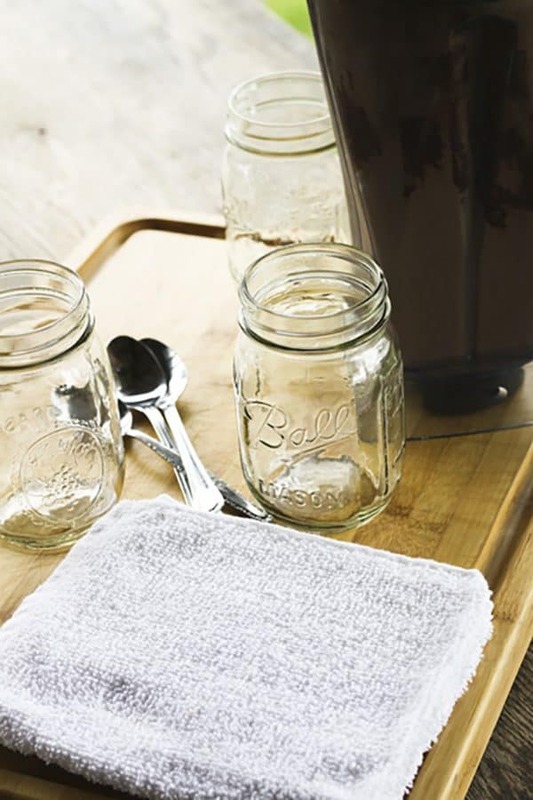 Place the frozen jars in your lunch bag or picnic basket as the ice-source for your food. By the time lunch rolls around, they should be perfectly spoonable and the picnic lunch should still be chilled. Originally published on June 6, 2012. You crack me up. I’m the same way. I love making healthy, sugar-free, yummy things. It seems like it should be impossible to make healthy things that taste good, but you can! Oh my god….I’m in love! They are meant to be divided… I just didn’t say how MANY servings into which it should be divided. I figured I’d leave that up to folks to decide. The size of my serving is dependent upon my mood! Thank you! I have a new set of popsicle molds and I am sooooo making these! Wow this is really awesome one! I am not sure if I can make this my own but I will give this a try.. Thanks anyway! Great job! Thanks for this recipe. My kids will surely love this! And I like this one because it’s unsweetened ingredients. Yummy! OK, at first I thought “Yay, Wendy’s Frosty recipe, Yay! !” Then I saw the ingredients. I said, “That’s no Frosty.” So now I gotta make it today and see what you’re talking about with this here recipe Rebecca. 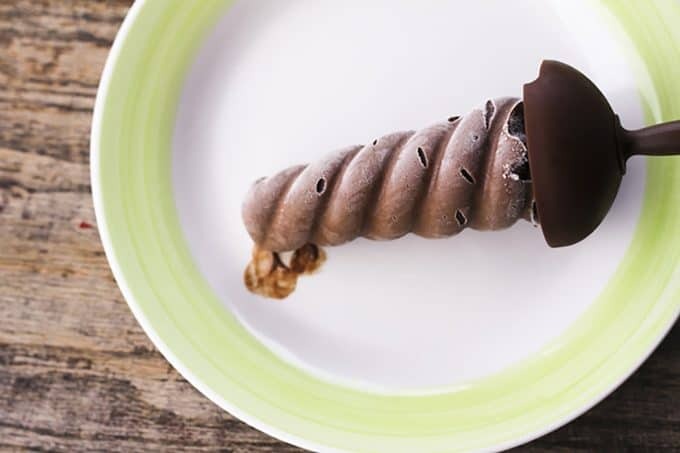 Well, it makes sense that if you want a treat, which usually are high in calories and sugar but don’t have much if any nutritional value, then something like this is ideal because it is high in nutrition. Definitely not something for someone looking to reduce carb intake though! This variation is timely because I was gearing up to make some fudge pops via kefir/yogurt, cocoa, and honey (or other sweetener) soon. Unsweetened yet tasty and nutritious, I have to try out now. Especially with summers and outings, this could come as a big help. This so refreshing! i want to learn how to do this. I’m sure my kid and her friend will enjoy this a lot. Thanks for sharing the recipe. Love it! Love your idea of the dual purpose ‘ice packs’ of this for your picnic. 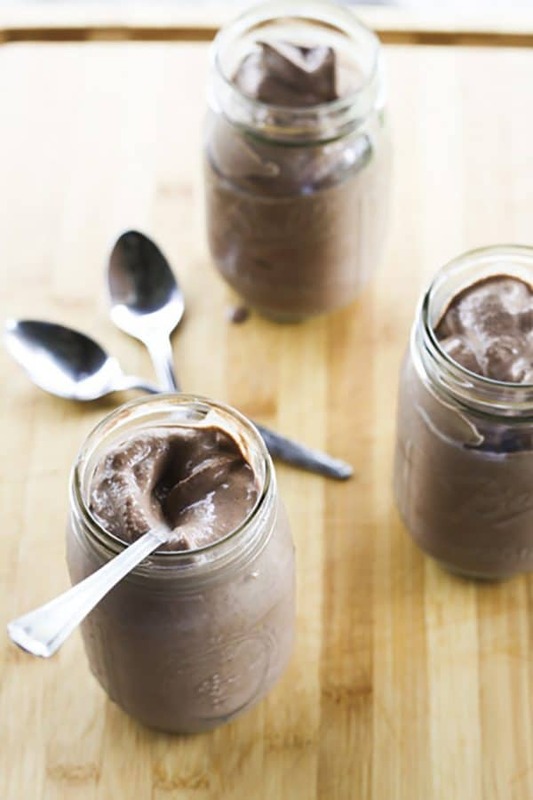 I’ve only just started to experiment with the avocado/chocolate combo for smoothies and desserts– it really works, doesn’t it? I’ll bet you are going to be using that blender every day– our Vitamix gets used multiple times a day. Smoothies, sauces, dressings, soups, all kinds of stuff. Great recipe as is, but I needed it with less sugar and fat. One word – HEAVEN!! These are soooooooo good! OMG this was soooo good! Definitely will make all summer long! Hi Rebecca! I have been following your site for about a year now, and I’ve tried so many of your recipes! I just tried this one, and WOW! I feel healthy drinking a chocolate frosty! Love it! Your blog is my favorite to read because you always make me laugh! Thank you so much for your awesome recipes and stories! just found this now, via Pinterest. I don’t know how I missed this recipe but I found it this week and tried to today as my smoothie lunch. OMG you are a genius. My husband even liked it. I wish these would be in my future, but they won’t (I’ve never had a frostie, either, so I won’t know what I’m missing). I have an avocado-phobic husband, and I’d have to add protein powder to make it work nutritionally for us, – I just can’t afford the calories. But I am definitely enjoying them in my imagination. I’m not sure if I like dates. I’ll definitely try them for this recipe, though. is there a substitute for the dates you could recommend, just in case? Well, I definitely suggest trying them first… they kind of disappear into the mix leaving a nice, rich sweetness. If you omit them, you’ll need to compensate for the sweetness and the thickening power they bring to the party. Bananas might work, but they’ll definitely impart some banana flavour. I think you’ll dig the dates, though! so… just to follow up. these are the yummiest treat I’ve ever had. I am excited to try these, since I too have a child who seems to have an aversion to anything that is good for him. 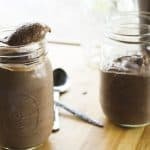 What kind of cocoa do you use over this recipe? I have both Dutch-processed and Hershey’s. I’m not sure which would be best.